A power of attorney, or POA, is a legal document used by an individual to appoint an agent to act on his behalf in either financial or medical matters. The principal can limit the agent's authority in the document, but general financial powers of attorney confer broad powers to do anything the principal can legally do himself. A POA agent is under a legal obligation to act in the best interests of the principal. Unless the terms of the financial POA document limit your authority, you can refinance your principal's mortgage if you determine that it is in her best interest to do so. You will have to establish to the satisfaction of the lending institution that you hold legal authority to act on the borrower's behalf. When someone gives you power of attorney, she is entrusting you to act on her behalf. Some powers of attorney don’t go into effect until the principal, the person granting you the power, can no longer act for herself. 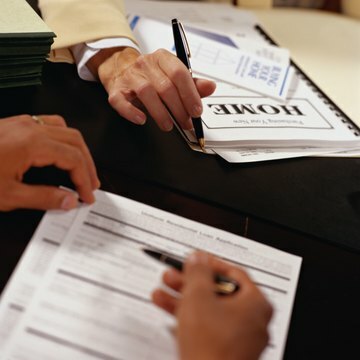 Others may go into effect as soon as both of you sign the power of attorney document. When you sign documents for someone else in this capacity, it’s important to make it clear that you’re acting for her, not contracting for any debt or transaction personally. Am I Responsible for Paying My Brother's Bills if I Have Medical Power of Attorney in New Jersey? As a person ages or develops an illness, he may lose the ability to make medical decisions for himself, instead relying on loved ones to make his decisions for him. If you were given the authority to act on your brother’s behalf by a New Jersey medical power of attorney, that authority comes with significant responsibility as you decide your brother’s course of treatment. However, you do not also bear the burden of paying for his medical treatment as long as you are acting properly under the terms of the power of attorney. Can I Change an IRA Owner With Power of Attorney?